FieldSync Livestock Tracking is designed to help users have more productive operations. 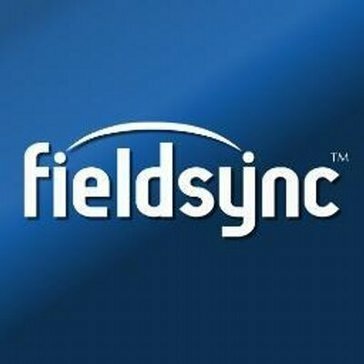 Work for FieldSync Livestock Tracking? Learning about FieldSync Livestock Tracking? What Farm Management solution do you use? Granular is farm management software that makes it easier for to run a profitable farm. Their cloud and mobile software helps growers collaborate more effectively in the field and and in the office, and make the right calls with the right analytics - anywhere, anytime. The AGRIS agribusiness management system includes modules for accounts payable, accounts receivable, bank management, commodity management, custom file transfer (CFT) and web service communications, fuel transaction importing, general ledger, inventory management, patronage and equity accounting, payroll accounting, and system control and security. Agworld offers a collaborative farming solution for growers, consultants and ag retailers. Full-featured business management software for growers, nurseries and garden centers. Land.db is an innovative computer software that helps manage crop production records to meet the business needs of modern farming operations. This easy-to-use system provides production cost as well as production traceability. SMART! Fertilizer Management is a decision support platform for optimizing fertilizer use for agriculture, enabling growers to maximize crop yields, save costs and increase their profits. The platform supports over 250 different crops in a wide range of geography. The technological solution that brings agronomists and farmers together. Save resources, prevent risks and maximize your production. Cropio is a satellite field management system that facilitates remote monitoring of agricultural land and enables its users to efficiently plan and carry out agricultural operations. Cropio provides real-time updates on current field and crop conditions, determines vegetation levels and pinpoints problem areas, delivers precise weather forecasts and an actual overview of the soft commodity market. Bovisync is a herd management software for dairy and beef operations of any size. * We monitor all FieldSync Livestock Tracking reviews to prevent fraudulent reviews and keep review quality high. We do not post reviews by company employees or direct competitors. Validated reviews require the user to submit a screenshot of the product containing their user ID, in order to verify a user is an actual user of the product. Hi there! Are you looking to implement a solution like FieldSync Livestock Tracking?